Hey everybody! There’s so much going on these days that I thought I’d bring you up to date. For a limited time only, you can READ THE ENTIRE FIRST CHAPTER OF ROAM FOR FREE! That’s right! Not just a snippet, but the full first chapter. I’m so excited to give you this sneak peak! At the end of the chapter are easy links to learn more about ROAM, as well as purchase links to help you find your favorite online retailer. If you enjoy it, please feel free to share with your friends! Tomorrow night is the monthly Novel Nineteens Twitter Chat! If you don’t know what this is, it’s a chat on Twitter where middle grade and young adult authors with 2019 debut titles answer your questions! It’s a really fun opportunity to find out what’s coming out in 2019, win prizes, and get to know the authors on a more personal level. So join me tomorrow night at 8:00 PM (EST). If you mention you heard about it through my website or my social media, I’ll enter you into a raffle to WIN A FREE ADVANCE READER’S COPY OF ROAM! So stop by and say hi, respond to one of my #Novel19s tweets in the chat, and let me know you heard about it from me to enter! Click this image for an easy link to the Twitter #Novel19s chat. LAST CHANCE TO FOLLOW AND WIN! If you’re not following me on Goodreads, now is the time to do it! On Monday, January 21st, I’ll be drawing a winner from among my Goodreads Followers to win a FREE ADVANCE READER’S COPY OF ROAM! If you’re already following me on Goodreads, you’re good to go–you’re already entered. If not, make sure to do it before Monday for your chance to win! Click on the image above to enter for your chance to win by following me on Goodreads! Good luck! 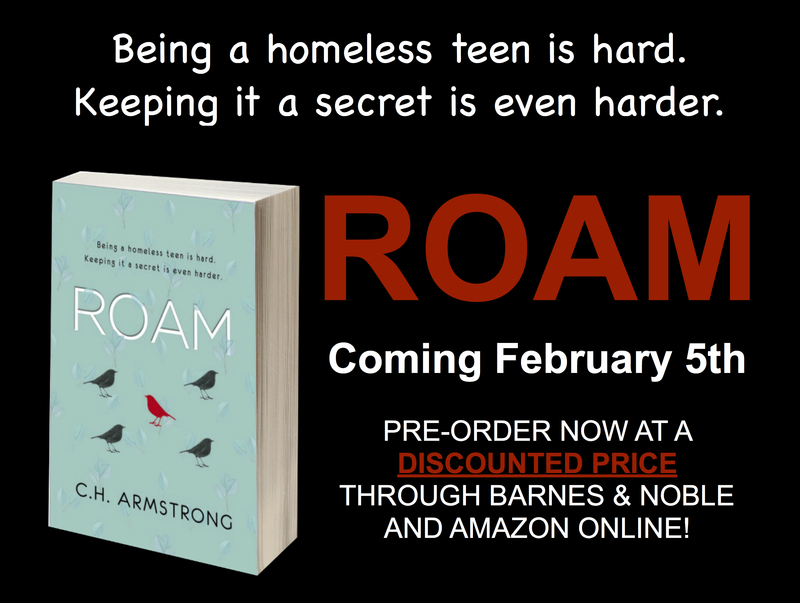 With the February 5 release of ROAM, my book tour schedule is filling quickly! For a comprehensive list of where I’ll be and when, you can use this link. If you’re interested in having me visit your school, please note that I’m currently scheduling on-site and Skype School Visits at no cost. You can use this link to learn more. Did you get my newsletter that went out yesterday? If not, you missed a lot of really great information! To view it, click the image below.